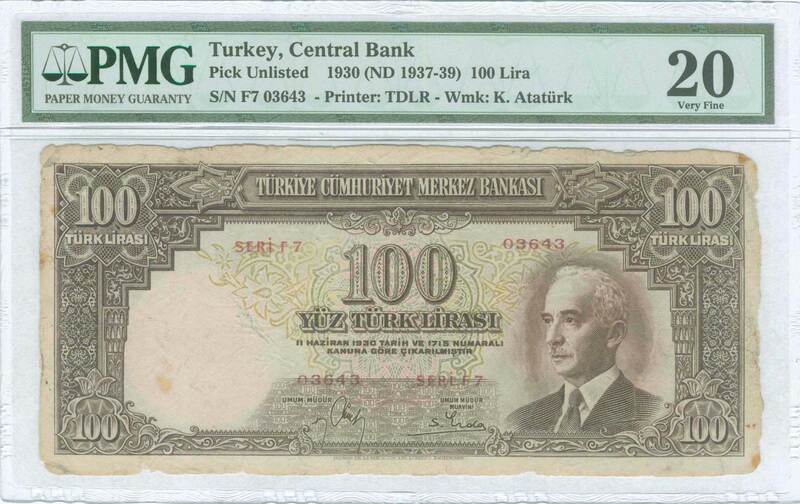 TURKEY: 100 Lira (1.3.1938) in dark brown with "Portrait of President Kemal Ataturk" at right. WMK: Kemal Ataturk. printed by TDLR. 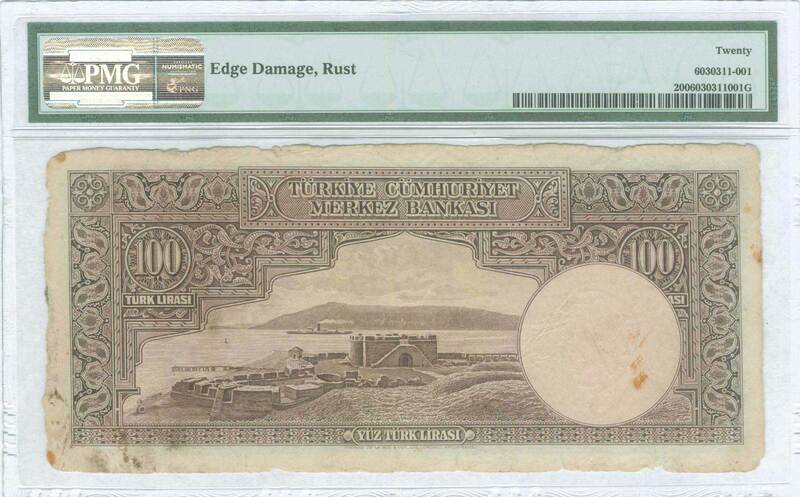 Inside plastic folder by PMG "Very Fine 20 - Edge Damage, Rust". These banknotes were rescued from a shipwreck are all in damaged condition by the salt water. (PULKO #CC).